Scania officially begun its city bus production in Narasapura in the Indian state of Karnataka today, in the presence of the Swedish and Indian transport ministers. Scania has so far invested 40-million Euros in Narasapura, where the company has also been assembling trucks since 2013. Scania’s industrial operations in Narasapura, 40 km east of Bangalore, already includes final assembly of truck and bus chassis as well as bodybuilding and fitting out of complete vehicles. While the production of fully-built long-distance coaches is already running, city buses are expected to be delivered by year-end. The head office of Scania’s Indian subsidiary is also located in Narasapura, as well as a service workshop and a central parts warehouse. 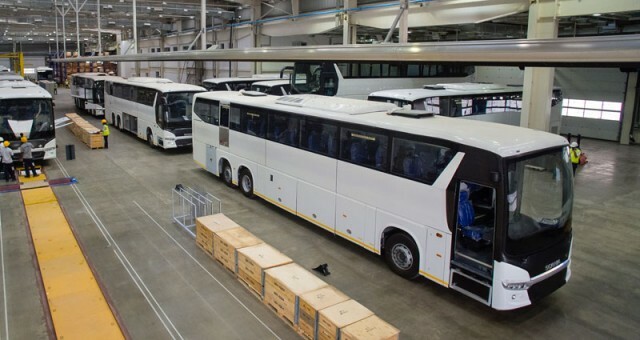 The production facility is currently designed for 2,500 trucks and 1,000 buses per year and has 600 employees. Within the next five years, Scania expects to double capacity and to recruit a further 200 employees by the end of 2017. In India, demand is increasing for vehicles with Scania’s quality and performance, as well as service-related products, in line with the country’s rapid economic growth and initiatives to improve efficiency in the transport sector. The Indian Government’s various initiatives to improve the environment and transport systems in the cities are also creating great opportunities for Scania’s sustainable solutions. “Already today – here and now – we can deliver trucks and buses that can run on biofuels, which are increasingly being produced, for example by using waste from the cities. Scania can also contribute with competencies and experience relating to biofuel production and efficient public transport systems,” says Anders Grundströmer, Managing Director, Scania India and Senior Vice President, Scania Group. Tata Motors, India’s largest automobile manufacturer recently launched a range of next-generation Tata Prima heavy commercial vehicles in UAE and Oman. The launch of the Tata Prima in UAE and Oman marks the introduction of a new range of next-generation commercial vehicles with a series of applications in both the countries. 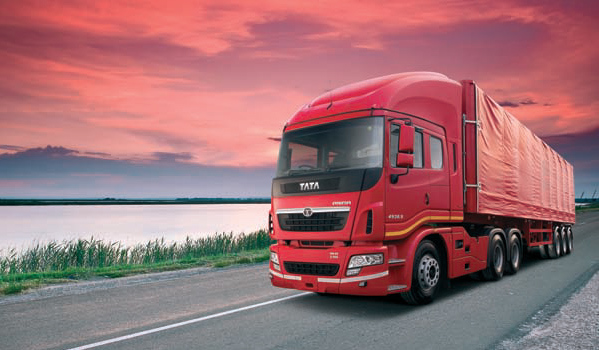 Developed with Tata Motors’ subsidiary – Tata Daewoo Commercial Vehicles (TDCV), Tata Motors conceived the award winning Tata Prima range, setting new benchmarks in performance and design of a next-generation commercial vehicle based on superior technology, optimum power, fuel efficiency and safety. Built with technical inputs from across the world, the Tata Prima is based on an Italian cab design, engine technology from the US and Europe, gearbox expertise from Germany, chassis frame know-how from Mexico, sheet metal dies from Japan and Korea, combining Swedish precision on a robotic weld line, hence is also referred to as the ‘World truck’ by Tata Motors. A multiple award-winning range of trucks from Tata Motors, the Tata Prima is today available in different trims, including multi-axle trucks, tractor-trailers and tippers, apt for several applications, thus meeting varied end-user requirements. With the range extending up to 49 tonnes and engine options up to 560 hp, the Tata Prima is an ideal work horse for movement of goods and material across distances and terrains, at the same time delivering efficiencies to a trucking business. The new next-generation range of Tata Prima commercial vehicles boasts outstanding material and build quality, comfort, driving dynamics and economy, at the same time offering customers with of lowest cost of ownership. Equipped with strong aggregates and a robust chassis frame and suspension, the Tata Prima range meets the highest operating standards under extreme conditions. Besides focusing on the mechanics of the vehicle, the uniqueness of the Tata Prima is that its cab focuses on driver comfort. The cockpit of the Tata Prima is both functional and visually ergonomic with a separation in terms of the working and living area. The cabin is air-conditioned, with roomie occupants’ space, includes reclining seats, armrests, an adjustable steering system, a music system and Global Positioning System (GPS) as a standard feature. 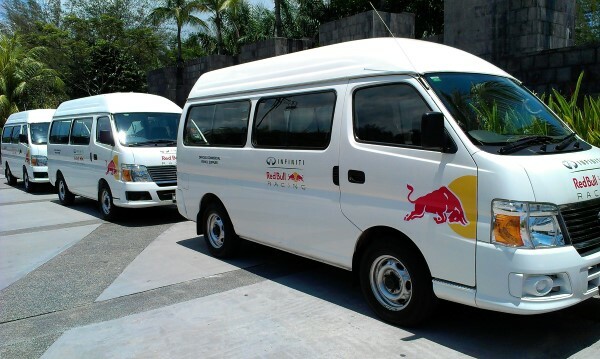 Edaran Tan Chong Motor (ETCM) announced yesterday that it will be providing the Infiniti Red Bull Racing Formula One team with eight Nissan light commercial vehicles (LCV) this weekend at the Malaysian Grand Prix this weekend. It is said that the vehicles will be used to transport the Formula One team’s equipment and team personnel to the Sepang International Circuit. The eight vehicles include both vans and pick-up trucks, namely the new Nissan NV350 Urvan, Nissan NV200, and the Nissan Navara. 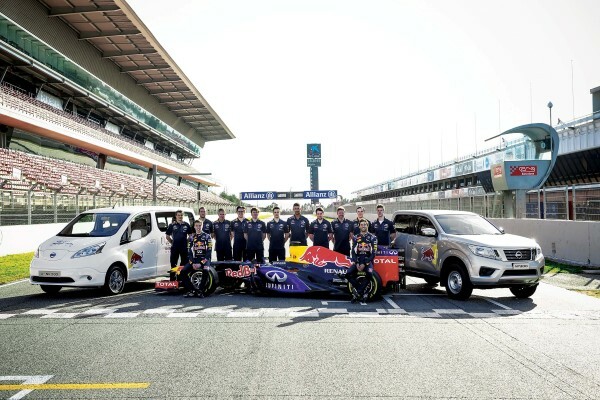 ETCM said that this initiative is part of Nissan’s global partnership with Infiniti Red Bull Racing Team as official Light Commercial Vehicle (LCV) supplier. You are first! This is Petron’s promise and commitment to all its customers with the launch of a new campaign across its service stations. Simply called Fuel Happy, the campaign promises a totally satisfying and uniquely rewarding “Petron experience” to every customer. 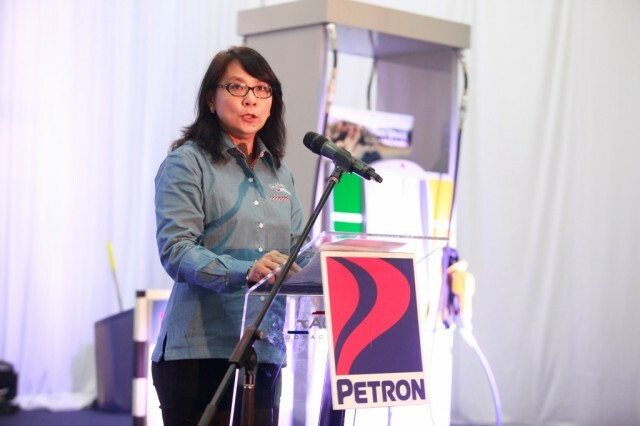 Since its entry into the Malaysian market three years ago, Petron has placed a premium on customer satisfaction, innovative products and services, and rewarding relationships. These form the Petron experience and are the take-off points for the Fuel Happy campaign. Fuel Happy will give customers a surprise treat every week of the month which will begin on April until December 2015 at participating stations. When asked about the surprise treats, Head of Retail Pn Faridah Ali said “Customers will have to go to our stations and find out.” Customers will be given “freebies” during the Fuel Happy campaign period. Fuel Happy is timely since it comes after the completion of Petron’s rebranding and upgrading program. Today, 550 stations, formerly Esso and Mobil, now carry Petron’s distinct red and blue colors, have upgraded facilities, and more importantly offer the company’s premium fuels and innovative services. 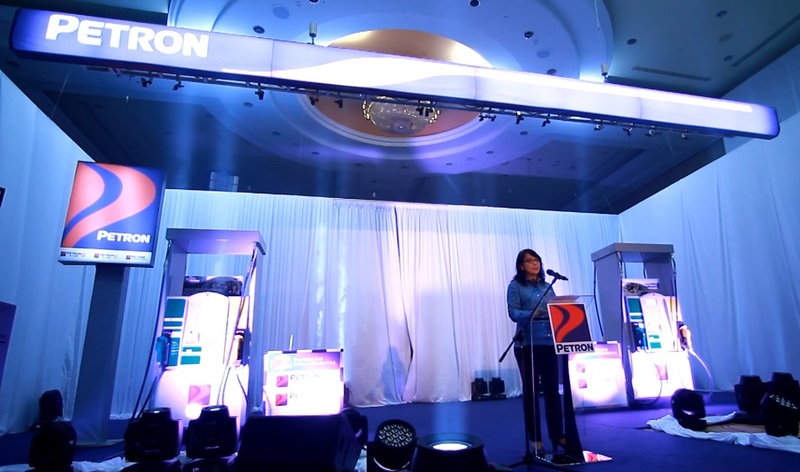 “We are entering an exciting phase since our newly transformed stations serve as touch points where we can live and share the Petron experience with every motorist,” Pn Faridah added. All Petron station offer customers personalized services such as the cleaning of windshields and tire shine for convenient and relaxing journeys. Friendly and well-trained service attendants are ready to assist motorists, even during emergencies since all Petron stations have joined the government’s “United Against Crime” project. The newly rebranded stations are also kept clean and well-lit to ensure the safety of customers. To spread more happiness, Petron has partnered with local coffee makers to offer freshly-brewed coffee to customers as they discover Malaysia and travel through cities in Ipoh, Johor Bahru, Kuantan, Kuala Lumpur and Penang. Fuel Happy is expected to reach more customers with its network expansion program. Petron completed 10 stations in 2014 and 20 more are in various stages of construction. It now has 560 service stations nationwide. 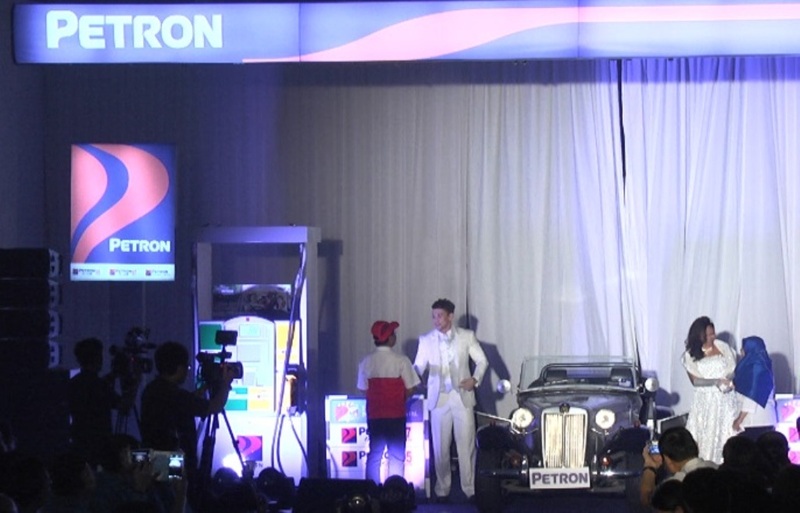 The Company said that the Fuel Happy campaign is also its way of thanking nearly 2 million loyal Petron Miles members who earn points for every transaction. This also includes over 4,000 corporate accounts under the Petron Fleet Card– the country’s first fleet card that uses microchip technology – who are now benefiting from better security and fleet management. “Fuel Happy is really about thanking all our customers who believed in us and remain loyal to this day. The best way we can show our gratitude is to make them drive away from Petron stations with smiles on their faces,” Pn Faridah concluded. 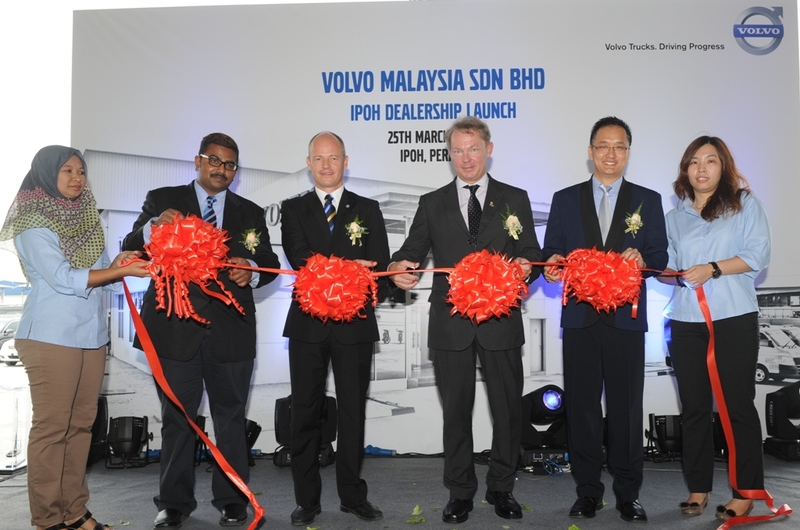 Volvo Trucks (Volvo) has just officiated the opening of its new Ipoh dealership in a brand new location and facility to better serve the aftermarket needs of its customers as business picks up. This new dealership cements another achievement in the company’s strategic implementation of its Dealer Operating Standard (DOS) Enhancement Programme that was initiated three years ago. 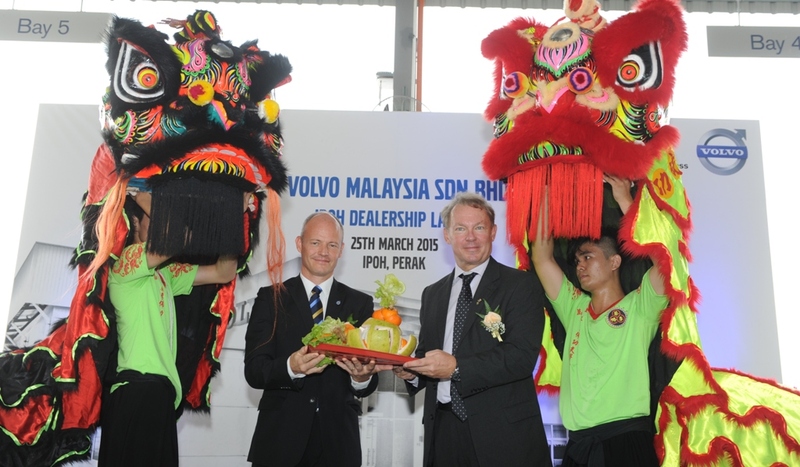 Mats Nilsson, Managing Director of Volvo Malaysia described the opening as an important event that heralds another key milestone for the brand as it continues to focus on improving the utilization of its resources and streamlining its processes to exceed customers’ expectations in aftermarket support. The opening of the new Ipoh dealership is part of the company’s RM75 million capital injection to upgrade and expand its network of dealerships across Malaysia. 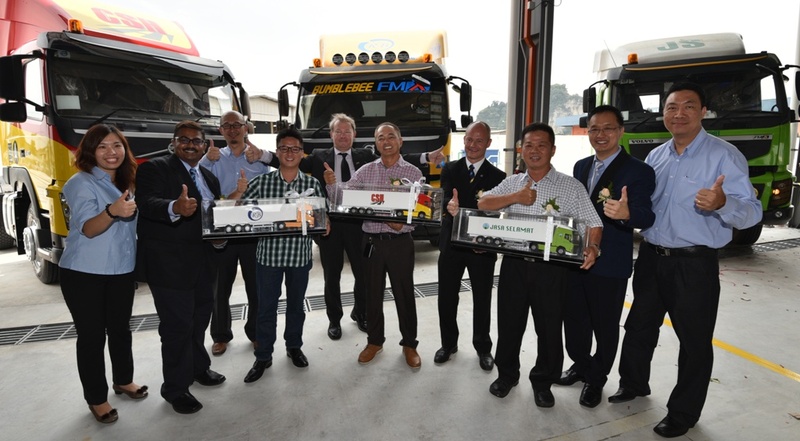 The opening of the new dealership was also marked by a truck key handover ceremony to three companies which recently placed new orders for trucks namely Chip Seng Heng Enterprise Sdn Bhd, Riang Baru Transport Sdn Bhd and Syarikat Jasa Selamat Sdn Bhd. 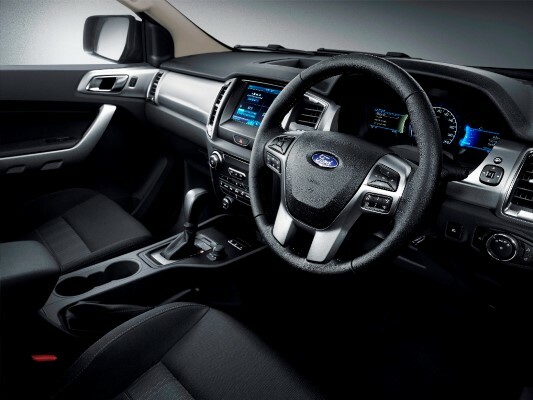 Ford unveiled its new the Ranger earlier this week in Bangkok, setting a new benchmark in the pickup truck segment with an uncompromised blend of robust capability, craftsmanship and advanced technology. 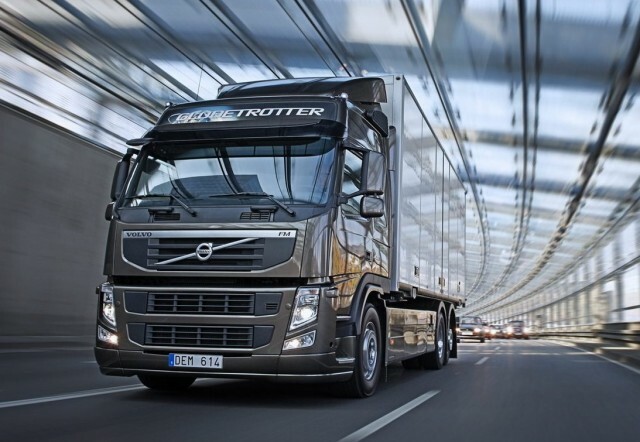 Starting later this year, an updated range of the truck will take on the world in more than 180 markets worldwide. Featuring a new look front end, and a stylish, smart and functional new interior, the new Ranger builds upon a reputation of capability, innovation and comfort that has helped the Ranger to stand apart from traditional pickup trucks. It also boasts an array of new cutting-edge technologies that enable new and more practical solutions to everyday challenges. 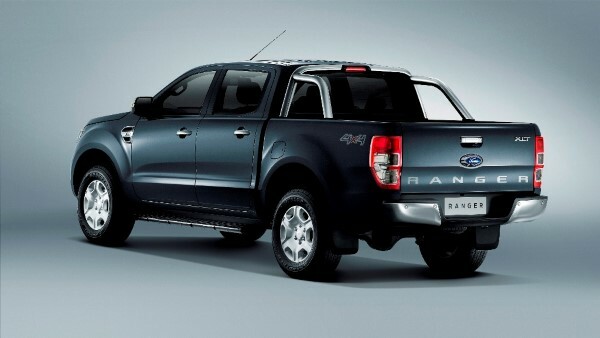 The changes to the Ranger begin with an updated exterior design. A more muscular hood flows into a strong new trapezoidal grille, while imposing projector headlamps make the truck instantly recognisable, with a bold, technical look. The updated exterior has been combined with a stylish new interior that creates an even more comfortable, contemporary and car-like environment for the driver and passengers. Strong horizontal lines run across the width of the cab, giving a sense of openness, and framing the central eight-inch touchscreen. Behind the steering wheel, a new dual-TFT instrument cluster provides drivers with information about the vehicle, as well as entertainment, navigation and climate control details at a glance. With a class-leading ability to wade through water up to 800 mm deep, and with 230 mm of ground clearance, it is designed and engineered to handle the most extreme terrains with ease. Thanks to a 28-degree approach angle and 25-degree departure angle, drivers in the new Ranger can feel confident when taking on steep obstacles. A robust electronically controlled transfer case allows drivers in 4×4 models to shift on the fly from 4×2 to 4×4 high with a knob on the center console. For low-speed torque or additional downhill braking, drivers can also engage low-range 4×4 gearing, while an electronic locking rear differential helps to improve traction in difficult conditions. These off-road strengths are matched by towing capability of up to 3,500 kg and exceptional payload capacity. Ford engineers have also fine-tuned its suspension for additional comfort and even better handling. The driving experience is further enhanced by an electric power-assisted steering (EPAS) system, which provides precise steering with a natural and confident feel. With EPAS, steering is light and manageable for low-speed maneuvering, such as parking, and precise at higher speeds – with assistance varying as necessary based on speed, steering wheel angle, cornering forces and acceleration or deceleration. By eliminating the power steering pump used in a traditional power-steering system, EPAS also results in a quieter vehicle and improves fuel efficiency by about three percent. Engineers also fitted the new Ranger with advanced sound-deadening materials and improved insulation for one of the quietest and most comfortable cabin interiors in its class. 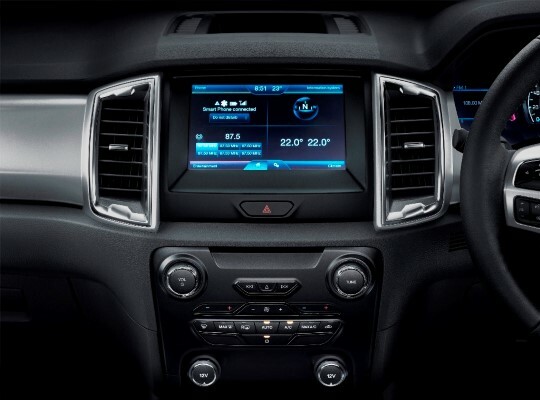 A host of cutting edge technology is available on the new Ford Ranger to help drivers stay connected and in control. SYNC 2, the latest generation of Ford’s in-car connectivity system, gives drivers smarter and safer ways to stay connected. For extra convenience, the new Ranger features a 240-volt power socket that can be used to power a laptop computer anywhere, from a work site to a family road trip. Ford is offering the latest generation of its globally proven 3.2-liter Duratorq five-cylinder TDCi diesel engine. Upgrades including an updated exhaust gas re-circulation system help to improve fuel efficiency by up to 18 percent, while still putting out 147 kW of power and 470 Nm of torque. Equipped with the latest generation of Ford’s 2.2-liter Duratorq four-cylinder TDCi diesel engine, the Ranger delivers significantly improved fuel efficiency and refinement while also providing the power Ranger customers demand. Depending on the market, Ford will offer a standard 2.2-liter engine, which generates an improved 118 kW of power and 385 Nm of torque, or a high-efficiency (96 kW) variant for up to 22 percent improvement in fuel economy. 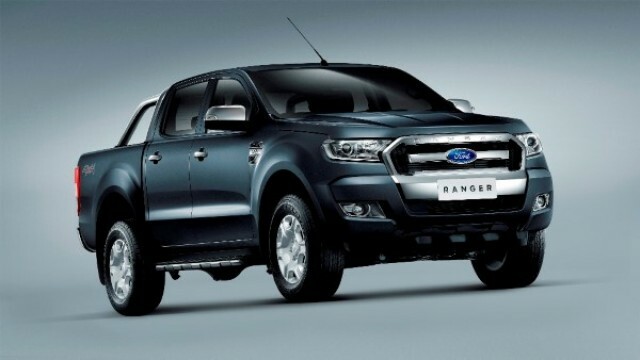 The new Ranger is also available with Ford’s dependable 2.5-liter Duratec petrol engine, providing 122 kW of power and 225 Nm of torque. Other features include the Automatic Start/Stop Technology, Lane Keeping Alert, Adaptive Cruise Control, Forward Alert, Front and rear park assist, Tire Pressure Monitoring System, Electronic Stability Program, Driver Impairment Monitor, Hill Launch Assist, Hill Descent Control, Adaptive Load Control, and EBD. Ford will manufacture the new Ranger at its AutoAlliance Thailand facility in Rayong, Thailand for distribution throughout Asia Pacific, its Silverton Assembly Plant in Pretoria, South Africa for distribution in Africa and Europe, and its Pacheco Stamping and Assembly Plant in Argentina for distribution in Latin America. 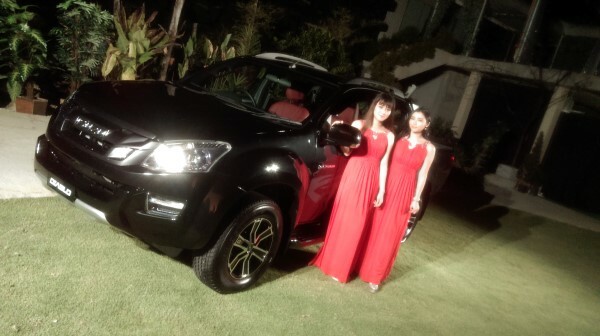 Isuzu Malaysia officially launched the D-Max Diablo, a vehicle that appeals to the motorist who shares a wicked desire for the wild side. Apart from being based on one of the most awesome, all-conquering pick-up trucks available today, the pick up instantly announced its arrival with its uniquely bold and stylish features. “I believe that there are many motorists who want a break from the norm and express their sense of freedom and individuality through the vehicle they own. The D-Max Diablo offers the perfect platform to express each person’s individualism and explore greater motoring boundaries,” said Daisuke Ishida. Most chromed items have been replaced with black or dark grey to match the car’s Cosmic Black Mica body colour and these include the grille, door handles, mirrors roof rails and rear bumper. 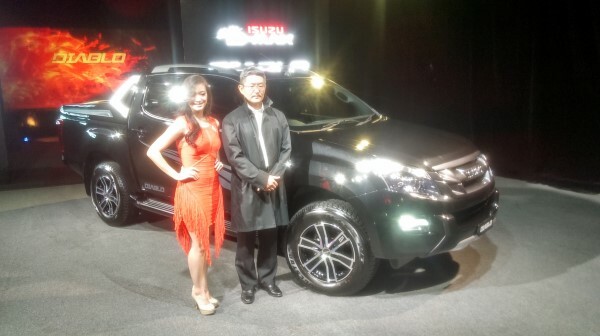 Only the chrome Isuzu logo on the grille and silver front bumper guard offer a striking contrast to the car’s dark outlook. By day, the original LED Daytime Running Lights create a sparkling effect for greater visibility. In keeping with its rebel outlook, the Diablo receives a body decal with an exclusive motif and a set of cool exclusive Lenso Black 17-inch alloy rims that have been specially matched to the outlook of the car. To keep belongings safe and dry during wild escapades, the limited edition pick up comes with a D-LOC lid. This lockable lid comes in body colour and features its own aero spoiler. Inside, the Isuzu D-Max Diablo gets wilder with its boldly-coloured interior. Bloody Red premium Italian leather seats and centre arm rests speak volumes of your non-conformist attitude. The seats offer a remarkable contrast to the dark grey interior trim and piano-black door and central tunnel inserts. Even the specially-embroidered carpet mats and illuminated rocker plates create an air of mystery as you enter the car. A Blaupunkt multimedia entertainment system that comes with a reverse camera ensures that you not only look great on the road, you will enjoy hours of motoring pleasure, particularly from its premium sound system. The D-Max Diablo is only available with an automatic transmission with either 2.5-litre or 3.0-litre engines and will be available in Isuzu showrooms throughout the country immediately. 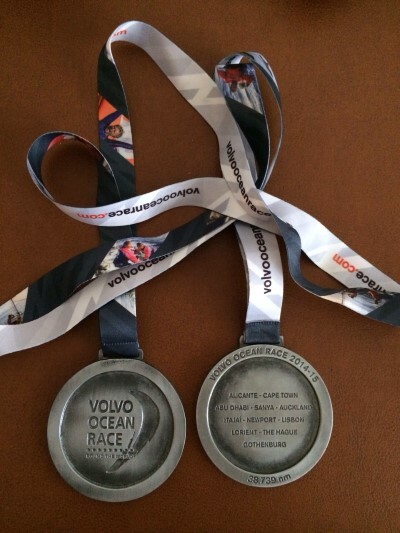 With less than 1,400 nautical miles left to sail at the ongoing Volvo Ocean Race 2014 – 2015, the Dongfeng Race Team (DFRT) has managed to stay ahead of the pack even after the fourth leg of the competition came to an end last week. 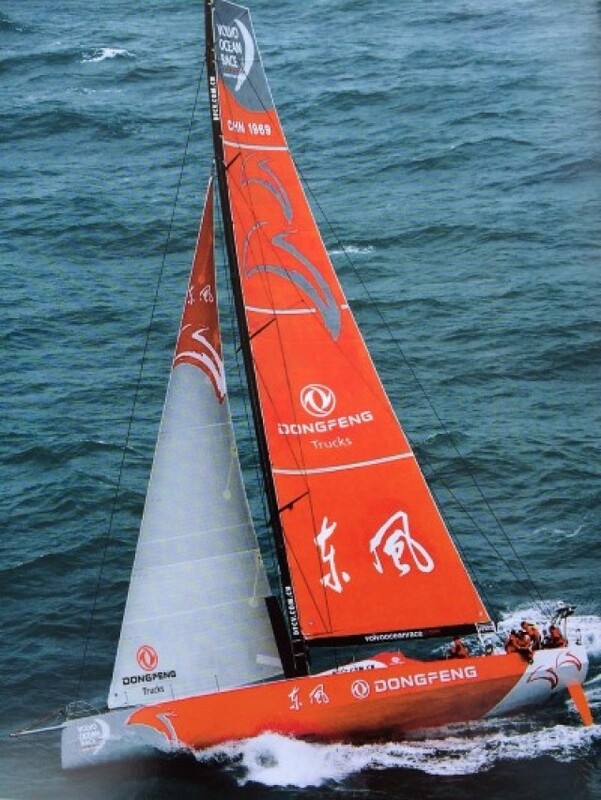 Having started the leg through the South China Sea and Pacific Ocean, Dongfeng Race Team became the first Chinese-backed boat to win a stage (fourth leg) in the Volvo Ocean Race In the fourth leg, the overall leaders held a narrow 2.7 nautical mile (nm) advantage over their closest pursuers, Abu Dhabi Ocean Racing, with Spain’s MAPFRE just 12.4nm adrift. Rarely has a leg of this length (5,264nm from Sanya, China to New Zealand) been so closely contested in the 41-year history of the race. After nearly 18 days of head-to-head racing through the South China Sea and Pacific Ocean, Dongfeng’s French skipper Charles Caudrelier said that the team was definitely feeling the Although Dongfeng’s boat started the leg with a one-point advantage over Abu Dhabi, the team had to bounce back from the serious breakage of a piece of mast equipment. The crew dropped back to last place while it was repaired, but within 48 hours had picked off the rest of the six-strong fleet, one-by-one, to claim the lead. “To be in the lead after all the hard knocks we’ve taken on this leg is without doubt one of my, and the team’s proudest moments since the start of this race.” he said. Despite the closeness of the competition, the French skipper was in a buoyant mood in a weekend message from the boat. “It’s turning into a fantastic race and, with light winds forecast for the end, it will surely be a nail-biter,” he wrote in his blog from the boat. Overall, all competing boats will sail 38,739 nautical miles over nine months, visiting 11 ports and every continent before the race concludes in Gothenburg, Sweden, on June 27. Dongfeng led the overall standings by one point after three legs from Abu Dhabi Ocean Racing with Team Brunel from the Netherlands in third, three points further behind. 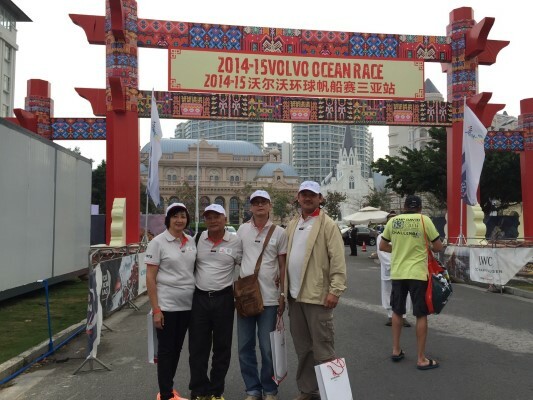 In an effort to recognise its top fleet customers for playing a vital role in further strengthening the Dongfeng brand in Malaysia, the company invited five of its fleet customers – Megah Transport, Jasa Bumi Sdn Bhd, Strong Mix Concrete, and Chip Seng Heng Berhad to witness the opening round of the Volvo Ocean Race in China last month. Dato Lee Aik Kheow, Mr Ong Kong Kuan, Mr Colin Pang, and Mr and Mrs Tan You Seng, who represented Megah Transport, Jasa Bumi, Strong Mix Concrete and Chip Seng Heng respectably, were even lucky enough to take part in the pro-am race, where the Malaysian team finished third on the first day of the in port race. 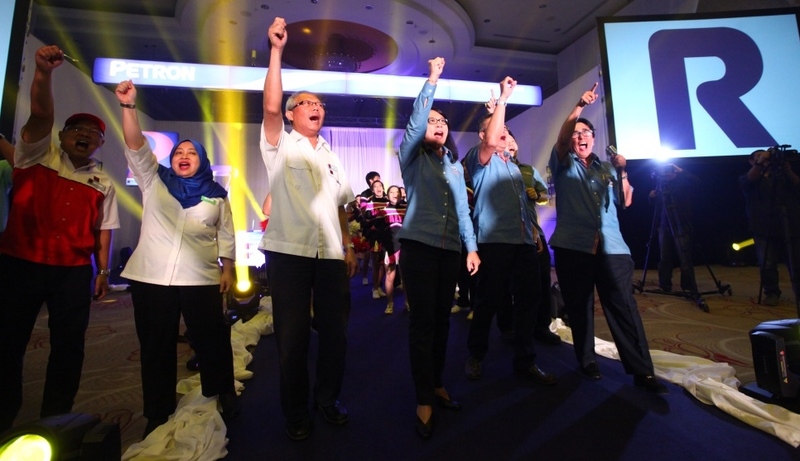 In order to provide its customers with safer products, UMW Toyota Motor, the authorised distributor of Toyota vehicles in Malaysia has upgraded the Hiace, which is also one of the best-selling window van models in Malaysia. For the 2015 model year, the van has received upgrades mostly in terms of Active Safety. The upgrade is in line with Toyota’s policy whereby safety is a top priority for its products, regardless of whether they are passenger cars or commercial vehicles. 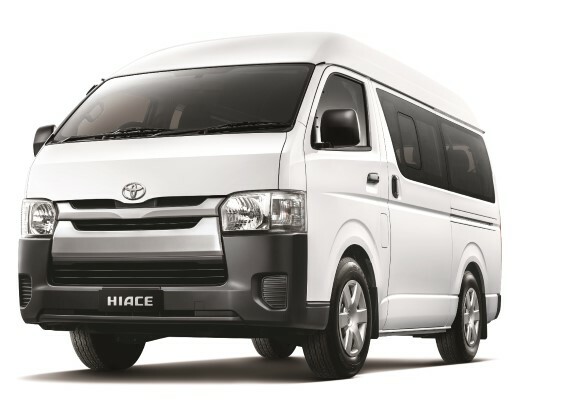 The new Active Safety features that are now standard in the Hiace Window Van are Vehicle Stability Control (VSC) with Traction Control (TRC), Hill Start Assist Control (HAC), and an Emergency Stop Signal. VSC and TRC are Active Safety features which have been available on passenger cars for some time and are especially valuable in helping to maintain grip and stability on slippery surfaces. And then, we have the Emergency Stop Signal that can contribute to reduce rear-end collisions. It activates during quick and sudden braking, activating the hazard warning lights so that drivers behind are alerted more clearly that the Hiace is coming to a stop suddenly. 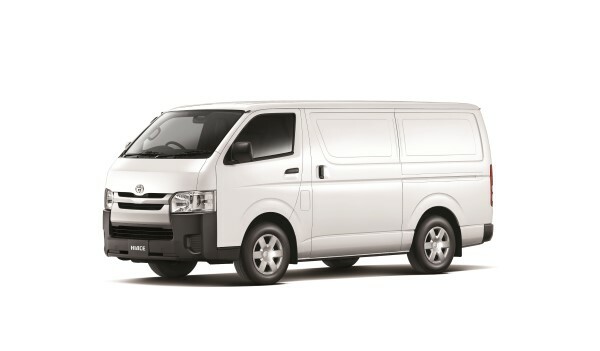 The Hiace Panel Van variant has also been upgraded with the addition of Anti-Lock Braking (ABS). ABS is particularly important for such vehicles as their load and weight distribution varies. ABS, together with the Load-Sensing Proportioning and Bypass Valve which adjusts the brake pressure according to the weight distribution, ensures greater stability for the vehicle during braking, especially on slippery surfaces. Another advantage of ABS is that it prevents wheel lock-up, even when braking hard, and this allows the driver to retain steering control to be able to avoid any hazards even when braking. Brake Assist (BA) is also offered for the Panel Van , partly to address the issue of older drivers not having enough strength to apply maximum pressure on the brake pedal in an emergency. The system will boost brake pressure in certain emergency braking conditions to maximise braking performance and this also helps to enhance the effectiveness of ABS. Other safety features of the Hiace Window Van and Panel Van include dual SRS airbags and 3-point seatbelts for all 10 occupants in the Window Van. The webbing for the seatbelts has a low-friction material which reduces the feeling of being cramped. Reverse sensors are also standard to make parking easier and safer, and the body structure is GOA-certified. ‘GOA’ stands for ‘Global Outstanding Assessment’ which is a tough in-house safety standard that meets or exceeds international requirements. Every Toyota vehicle must be GOA-certified before it is allowed to be produced and sold. Other features of the Hiace remain unchanged with two choices of powertrains – the proven 2.7-litre 16-valve DOHC petrol engine with VVT-i (Variable Valve Timing – intelligent), and the D-4D 2.5-litre DOHC commonrail turbodiesel engine. Customers can also order their Hiace with optional accessories such as Toyota Premium Security & Solar Film, Toyota Essential or Toyota Standard Solar Film. These tinted films meet JPJ regulations and are installed by trained personnel at UMW Toyota Motor’s own Accessories Centre before delivery. UMW Toyota Motor is now offering a Portable Tyre Pump as an optional accessory as well . This compact unit is easily stowed and will come in useful if a tyre is punctured or needs its pressure increased due to heavier loads being carried. It can also be used to inflate toys, balls or car bed via various nozzles which comes together in the set box. As with other light commercial vehicles offered by UMW Toyota Motor, the Hiace comes with a 3-year/100,000 kms (whichever occurs earlier after first registration) warranty, subject to conditions stated in the Owner’s Handbook. 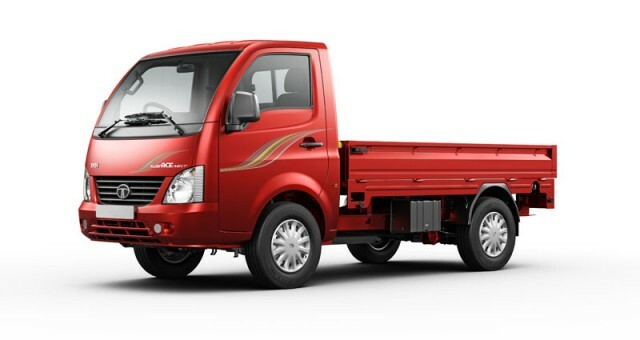 Tata Motors has announced the launch of a new Small Pick-up, the Tata SuperAce Mint. The family of Mini trucks offer last mile cargo transport solutions from Tata Motors and have successfully catered to the need for a safer, robust, economical and comfortable transport to cross narrow alleyways and through heavy traffic. Its affordable pricing and competitive maintenance cost throughout the life-cycle has fostered self-employment to help entrepreneurs and small businesses grow across urban and rural areas. With this launch, Tata Motors is further penetrating into the Small Pick-up market and plans to grow its market share in this segment. The Tata SuperAce Mint is equipped with a technically advanced 1.4 Litre DiCOR (common rail) BS4 engine which gives a maximum output of 70PS. Its technologically advanced engine delivers a flat torque over a wide range of engine rpm (1800 – 3000 rpm), enhancing the vehicle’s pickup in all gears. The clutch has a larger diameter and a greater friction area for better clutch performance and life while the backbone of the vehicle is its strong chassis frame with a 2.5mm thick long member and a 124mm x 63mm chassis cross section, enabling it to withstand the stress of driving on bad roads and varied loading conditions. Inside, it comes with a standard power steering and blower which makes it the most comfortable pickup in all types of road conditions. The body colored bumper and standard fitment of wheel caps gives the exteriors a stylish look. The adjustable driver and co-driver fabric seats with headrests, HVAC option also account towards making the driver’s journey comfortable. The vehicle delivers a mileage of 17.9km/L which makes it not only a power packed proposition but also an efficient business partner catering to varied needs of operators.